KING OF PRUSSIA, PA—Today, Pennsylvania Assistive Technology Foundation (PATF) is bringing clarity to the complex process of funding assistive technology (AT) by publishing an easy-to-read guide, Funding Your Assistive Technology: A Guide to Funding Resources in Pennsylvania (http://www.patf.us/fundingyourat/), the first of its kind to be compiled for people with disabilities and seniors in Pennsylvania. The conversation around assistive technology is often centered on new advancements and innovative applications, while consideration for how to pay for this technology remains an afterthought. In fact, one of the leading obstacles for many people in obtaining assistive technology is finding the money to pay for it. And, there are many circumstances to take into account when developing a funding solution. A person’s diagnosis, age, whether or not they are a student, where they live, whether or not they work, their financial situation, and their wants and needs all factor into determining what funding options are available. “This comprehensive guide is an easy-to-use resource for Pennsylvanians with disabilities, seniors, their families, service providers, and legislators. It empowers Pennsylvanians with the knowledge to gain access to devices and services that make independence and autonomy possible,” says Nancy Murray, President of The Arc of Greater Pittsburgh at ACHIEVA and incoming Board President at PATF. Funding Your Assistive Technology was made possible through a generous grant by The Donald B. and Dorothy L. Stabler Foundation of Harrisburg, PA and can be downloaded free of charge as a PDF at: http://www.patf.us/fundingyourat/. “FORT WASHINGTON, Maryland — It’s late morning and roughly 25 senior citizens are learning how to talk to Siri. They pick up their iPads and press the home button, and pings echo around the room as Siri asks what she can do to help. “‘Siri, what’s the closest coffee shop?’ one woman asks. “‘Sorry I’m having trouble with the connection, please try again?’ Siri says. Click here to continue reading this article at BuzzFeed.com. Technology and home health care: a match? We’ve been reading so much about advantages that aging persons can accrue with the introduction of emerging technology, we decided to list some of the articles. Aging In Place Technology Watch shares this in today’s newsletter: “… it’s good to see that Envoy (concierge service for independent living), Kindly Care (home care agency), Caremerge (home care platform), and Seniorlink (care coordination) are in their same businesses from 2016 – and others from the period like Envoy and CareLinx received additional investment and moved forward. When Pew stops tracking senior adoption, does that imply a market saturated? Rant on. Note this Fact Tank aggregation of technology adoption statistics (tech overall among seniors, last reported in 2016) – and the most recent data cited on Internet use, seniors were quoted in a 2016 survey, 44% of responders did not use the internet users. Of those that do, older adults aged 65+ said they had little to no confidence in their ability to use electronic devices to perform online tasks. Let’s think about their non-confidence (not broken down into the 65-74) and the 75+ who are the Real Seniors. Does that fear imply lack of training? Or too much media reporting about scams, breaches, and identity theft – most of which it is difficult to detect and nearly impossible to prevent? Who knows, since Pew appears to be largely done – after all, they note, 89% of Americans are online and they do not survey all questions each time. AARP published a survey last year that included responders in their 70s — we stay tuned for the next update. For seniors, why is there a problem with non-use? Note the research from Michigan State cited in an AARP article: “Greater technology use was associated with better self-rated health, fewer chronic conditions, higher subjective well-being and lower depression.” The study also found that technology use reduced feelings of loneliness. And let’s not forget how many services can be discovered and accessed online, including scheduled food delivery, transportation requests, buying tickets and signing up for local events. And have we mentioned online banking, accessing Social Security information, buying savings bonds – oh, and then there’s healthcare access, including finding a doctor or benefiting from telehealth services? Are there still senior centers or organizations that do not have high speed internet? You know where they are – maybe they haven’t figured out the right source of grants, like, for example, Grantmakers in Aging? Senior centers are partially funded by the Older Americans Act – which also provides Meals on Wheels. But there is nothing in the Act (beyond partial funding of senior centers) that specifies professionally delivered training of seniors on technology use or supporting seniors in their usage. This is a policy change and it’s high time that the policy was changed. Why isn’t technology training of seniors required to be delivered by professionals? Is it because it is viewed as non-essential because it is ‘free’? The Geek Squad isn’t free, so why is there no magnanimous donor group focused on helping seniors who could fund a regular visit of several Geek hours to a library, senior center or other community center who could help individual older adults during designated hours with their devices? AARP pays for training it offers in its regional workshops, which is free to participants. Presumably organizations like OATS, expanding outside of NYC (but still reaching a small percentage of seniors), must use grants to pay trainers to do the offered training, which is free to attendees. This should be the standard of caring about seniors — offer professional trainers combined with free training. But you ask, so why isn’t ‘volunteer’ training good enough? Because at today’s pace of technology change, it can’t be. Read the list of Geek Squad services again. Or look at another nationwide competitor, HelloTech (ads bash Geek Squad) or Bask or many paid services in various geographies. You hopefully get what you pay for. Free training may be well-intentioned – and it is appropriate in stores of carriers who provide the connectivity. 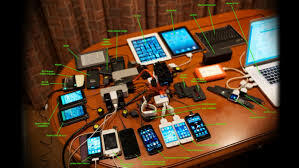 But it is very expensive to stay current with the myriad of always-shipping new devices and OS variations and upgrades, required to keep a device secure. Add the difficulty (and costs) of getting an operational router, high speed internet printing from multiple devices, streaming from devices. When will everyone have a voice-activated TV remote? Voice-activation and control will surely be standard for smart TVs, but sites that cater to seniors aren’t sources for finding them. Nor is there any apparent interest in re-engineering older remotes to support voice input. Why not? Baby boomers cross 73 in 2019, becoming Real Seniors in 2 years. They will likely live, on average another 10-15 years or more. For the next 18 years, the growth in the number of Real Seniors will continue. Shortages of in-home care workers are worsening, new, hopefully tech-enhanced services are already forming. Senior living firms, meanwhile, are over-expanding to accommodate them, hopefully in communities with high speed internet and WiFi access everywhere. For all of the Real Seniors to be, now’s the time to tech-enable their future, don’t you think? Let’s not keep having this conversation for the next 18 years. Happy New Year. Rant off. Fewer than 5 percent of all homes in the United States are accessible to individuals with disabilities; less than 1 percent are wheelchair accessible; and just one-third are capable of being modified to accommodate a disabled owner. That’s according to no less an authority than the US Department of Housing and Urban Development (HUD). It’s a distressing situation for disabled homeowners, because it means that many have to settle for properties that aren’t suitable for them from the standpoint of safety. Depending on the size of the market, that could mean having to try to modify a home that doesn’t meet the minimum standard of disabled accessibility: a stairless entry, and a bathroom and bedroom on the first floor. That’s a sobering situation for a disabled person entering the housing market. So, where can you turn for help, and what resources are available to a handicapped individual? In most cases, your real estate agent is your best asset, even though many lack experience working with disabled buyers. Consequently, there’s a knowledge gap among realtors when it comes to knowing where and how to look for suitable housing. Nevertheless, your agent will know the area well and have familiarity with what’s available, valuable knowledge for someone needing to find a property that can be adapted to their needs (such as a single-story house, a home with widened hallways, and specific safety features). With many disabled individuals having to modify houses, it’s important to know where to look for alternate sources of funding, such as through the VA, Red Cross, Americorps, the US Office of Housing, and HUD. Real estate search engines are generally fairly limited in terms of search options. Terms like “handicapped accessible” and “universal design” may yield some results, but there are few other filters available that can produce the kind of results you need. General real estate search engines may prove disappointing, but there are a couple of national websites that are worth keeping an eye on as you work through your search. Fortunately, it’s not all bad news for disabled homebuyers looking for online assistance. Barrier Free Home is virtually unique in its focus on barrier-free, wheelchair-accessible, universally-designed, ADA-compliant homes and apartments. Theirs is the most extensive database catering to disabled homebuyers. Barrier Free Home’s property entries contain an exhaustive amount of information, including number of bedrooms and baths, as well as handicapped-specific features, like roll-in shower or tub, roll-under sink, level entry and whether the property is VA approved. Easy Living Homes falls into much the same category. It’s America’s first voluntary program encouraging the inclusion of features that make a property more accessible and efficient. An exhaustive list of features includes the type of lighting available, the kinds of material used in construction, and disability-accessible features. AMS Vans is a useful online resource for wheelchair-bound individuals seeking accessible housing. HUD lists an online inventory of housing for elderly and disabled persons seeking multi-family homes. HUD’s subsidized apartment search offers disabled persons a robust listing of qualified units with information concerning suitability and accessibility for individuals with mobility restrictions and other special needs. A state-by-state search function provides an extensive listing of units in your area with physical features, contact information and whether each unit is specific to the needs of the disabled or elderly. Finding a property that’s accessible to disabled buyers isn’t as easy as it is for people conducting searches on standard real estate websites. It takes some patience, flexibility, and knowing where to look. In the long run, your own persistence and the assistance of your real estate agent are your most valuable assets. As you search, bear in mind that some properties can be modified to meet your needs, which may help widen the parameters of your search. 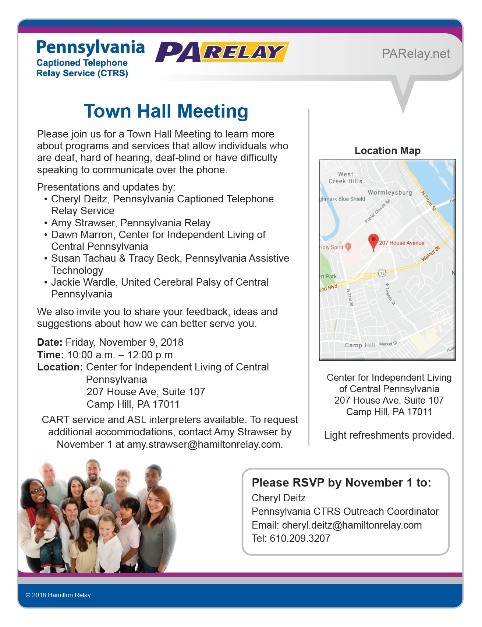 Special Town Hall Meeting on November 9 | Find out more about programs and services for persons who are deaf, hard of hearing, deaf-blind or have difficulty speaking to communicate over the phone. Download the above as a .pdf for sharing and printing here. “Constance wants to help you care for your aging loved one. We will partner with you by offering you peace of mind and the assurance that you — and they — are not alone. To participate in this free trial of this service, sign up today. There’s No Place Like Home | New support for those caring for aging loved ones. A study by AARP revealed most seniors share that belief: 90% of seniors stated they plan to live in their own homes for at least the next 5 to 10 years. While the desire to remain at home might be driven by sentimentalities, or by the wish to remain independent and in control, the cost of retirement communities isn’t convincing anyone to pack their bags. Entrance fees to these communities can cost upwards of $100,000, and additional monthly living expenses typically range from $2,000 to $4,000. New Challenges | Remaining at home doesn’t come without its challenges, and this is especially true as those aging in place begin to require more care and assistance to stay safely at home. The seniors’ children often fill the caregiver role, assisting their parents in various ways to ensure they are safe and have everything they need while alone at home. This can be difficult, however, as they often have their own nuclear family responsibilities and work commitments to attend to. Two challenges are overwhelmingly present across varying caregiver situations: 1) 24 hours a day is not enough time to manage their loved one’s care, and 2) there is almost constant stress and worry as they think about their loved one’s well-being at home. A majority of caregivers wish they had more help in managing their loved one’s care, and often, they don’t have anyone to help them. That’s why we created Constance. A New Solution | Constance brings peace of mind to families caring for seniors. With Constance, families know there is always someone looking after their loved one. And when they need help, things will get done with little hassle. Constance calls several seniors every day, to talk about what they’ve eaten, what their plans are, and to make sure they have everything they need. Family members receive a report after the conversation, to let them know how their loved one is doing that day. It’s Time | If you or someone you know is grappling with the challenges of caring for an aging loved one, there is an opportunity to participate in the support Constance has to offer. The Institute on Aging’s 24-hour toll-free Friendship Line is the only accredited crisis line in the country for people aged 60 years and older, and adults living with disabilities. We also make on-going outreach calls to lonely older adults. To make a referral right now, please fill out the Friendship Line Intake Form. This article is so important — not only for the people we serve — but for everyone you know. We’ve already posted it at the Link to Aging and Disability Resources facebook pages. “Nearly half of all cellphone calls next year will come from scammers, according to First Orion, a company that provides phone carriers and their customers caller ID and call blocking technology. “The Arkansas-based firm projects an explosion of incoming spam calls, marking a leap from 3.7 percent of total calls in 2017 to more than 29 percent this year, to a projected 45 percent by early 2019. Read this article in The Washington Post in its entirety, click here.